The Squaw Valley Half Marathon and Run To Squaw date have been announced. Both are scheduled for Sunday June 11, 2017. 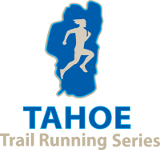 Click here for the Squaw Valley Half Marathon and here for Run To Squaw.